Are you planning a romantic getaway with your special someone and need the key to make it unforgettable? 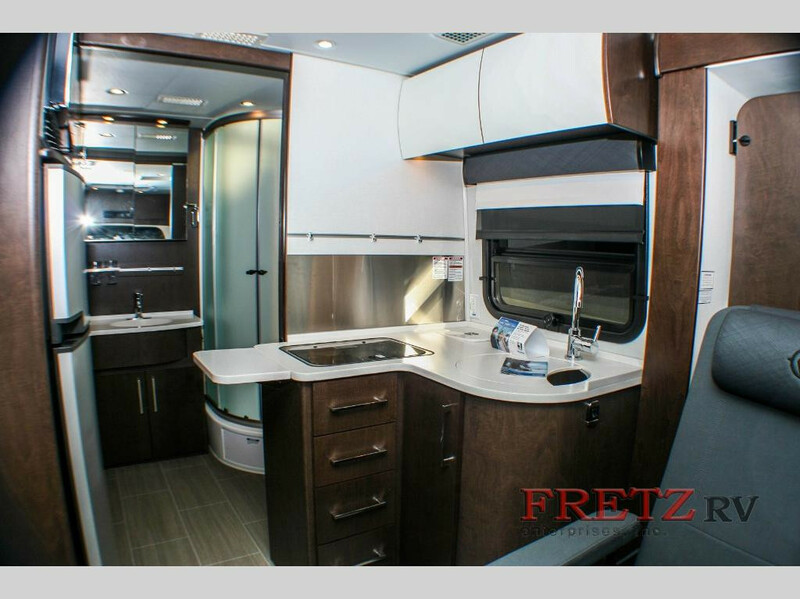 This beautiful Leisure Travel Unity class C motorhome for sale at Fretz RV is an excellent way to sweep your sweetheart away! Let’s take a more in-depth look at some of our favorite features in this Leisure Travel Unity class C motorhome review. 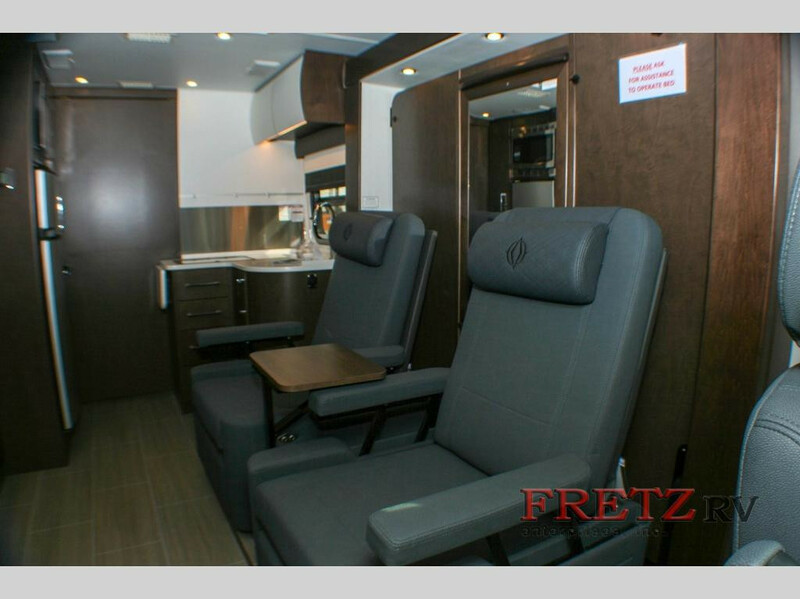 Shop more class C motorhomes for sale at Fretz RV. The interior space of this motorhome is artfully crafted to make you feel like you are living in the lap of luxury no matter where you go. The kitchen features a two burner cooktop, microwave, and large refrigerator, as well as plenty of cabinets for storage. Move into the the bathroom and you’ll find a spacious shower, wardrobe, and medicine cabinet. You won’t have to worry about the bed being in your way, because this model features a queen-sized murphy bed that maximizes your livable space. During the day, fold the bed away, and you’ll find comfortable theater seating for two, so you can kick back and watch your favorite shows on the 39″ LED TV! 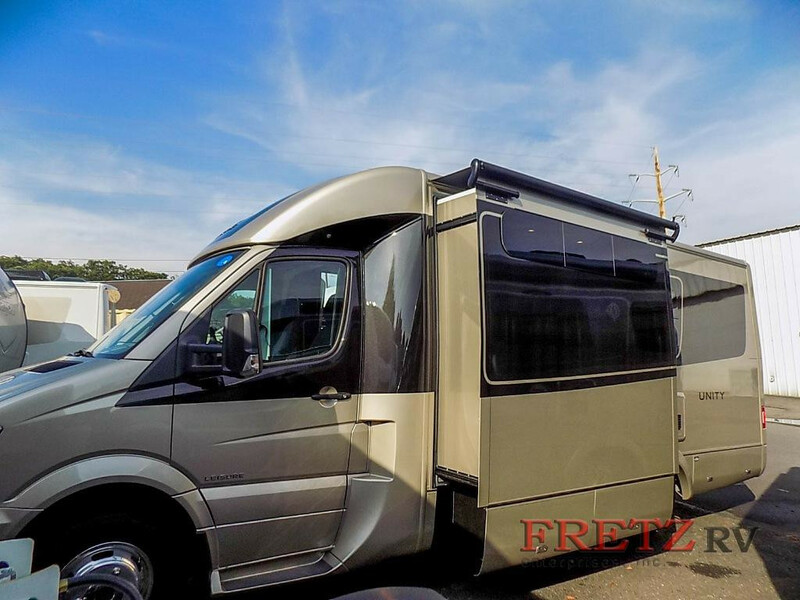 Because this motorhome features a Mercedes-Benz Sprinter 3500 chassis, you’re sure to feel like you’re living in the lap of luxury no matter where you go! When you’re ready to call it a day, simply fold down the bed and you’re ready for a great night’s sleep! Are you ready to finally take the plunge and plan that romantic getaway you’ve always wanted? Then take home a luxurious couple’s coach like this Leisure Travel Unity class C motorhome today! Contact us and make your special trip a reality!